Spotted these cookies in the bakery case at Starbucks. Pumpkin Sugar Cookie – 310 calories! 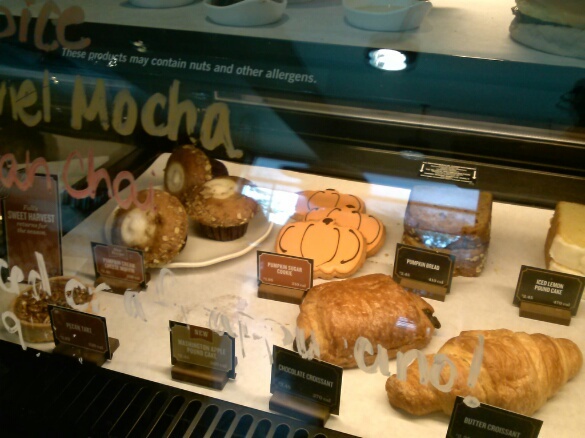 Starbucks 2014 selection, may vary by location.